I realized that maybe some equestrians still consider basic exercises as ‘exercises’ or ‘basic’ while they are so much more. I consider HippoLogic’s Key Lessons (Your Key to Success in Positive Reinforcement training) not as basic exercises but as tools. Important and powerful training tools. At first the Key Lessons are goals in training, but once you master these exercises you can start using them as tools. They will help you get other, more complex behaviours. Once you are using them as tools you will notice that they become your success strategy. That is what I teach in my 8 week online course Key Lessons, Your Key to Success in Positive Reinforcement Horse Training. This exercise starts out to teach your horse what humans see as ‘desired’ behaviour around food and food reinforcers. This exercise starts out to teach people to train their horse not to mug them and to be ‘polite’ around food. With ‘polite’ I mean the food always goes to the horse, never the other way around. Treats need to be carefully taken off of the hand with their lips, not the teeth. Only the treat is eaten, not the fingers and so on. Basically you just teach your horse not to forage for food. You train them to suppress their natural exploration behaviour. Once your horse knows the fastest way to the treat (wait for the marker/click) you can teach your horse more complex behaviours, like going to his target when you arrive with hay or a bucket of grain. In the exercise ‘Patience’ you teach your horse to stand next to you, with his head straight and his neck in a comfortable horizontal position. In this way your horse can’t ‘mug’ you (explore/forage). ‘Patience’ changes from a ‘simple exercise’ to a valuable training tool once you make this your horses’ ‘default behaviour’. Normally you put a cue to a behaviour once your horse masters an exercise. You will raise the criterion from ‘Well done: click‘ every time he displays the behaviour to ‘You can only earn a click after I gave a cue‘. In a default behaviour you don’t use this criterion: you will reinforce the behaviour also when it is on the horses initiative. Once ‘Patience‘ becomes a default behaviour and your horse is a well seasoned clicker trained horse, he will use this exercise in his communication to you. He will display his default behaviour when he doesn’t know what to do or doesn’t understand your assignment or when he gets frustrated. He does this because he knows this behaviour will never be punished. He also learns it will almost never be ignored. So this becomes his tool to communicate with you. In the next sequences I will explain the other Key Lessons for Horses. Read part 2 here and here is part 3. 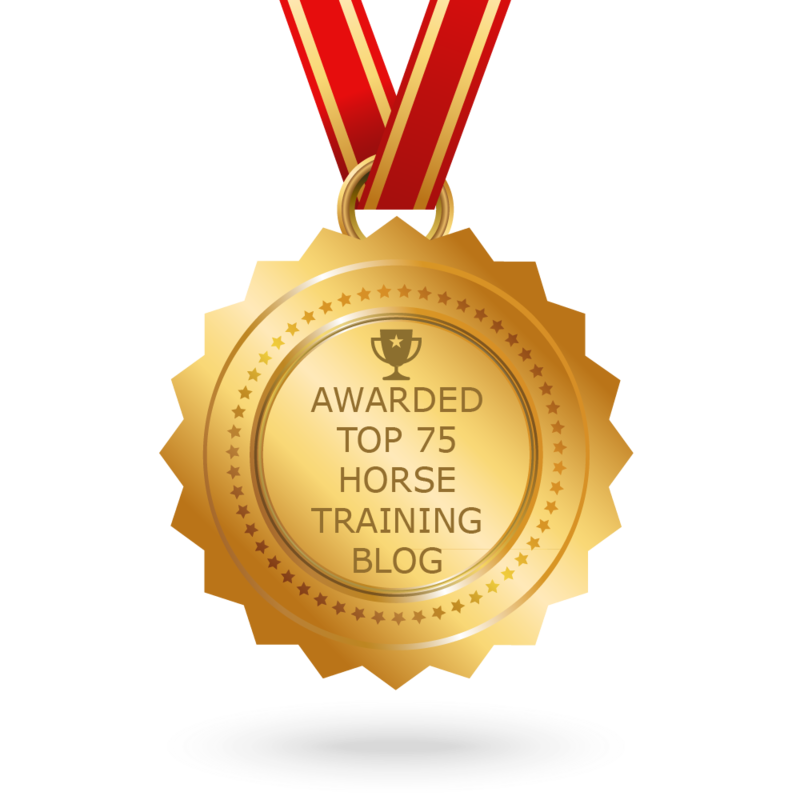 Sign up for HippoLogic’s newsletter (it’s free and it comes with a reinforcer) or visit HippoLogic’s website and discover my online 8 week course ‘Ultimate Horse Training Formula’ in which we cover all 12 Key Lesson that will change your life and help you become the best horse trainer you can be for your horse. Here in Canada it is Winter again. Normally the climate is mild here in Vancouver, BC but this winter we’ve already had snow that’s lasted for almost two weeks. We all know that frozen pastures limit our horses ability to exercise themselves and horses generally are more spooky and more forward in cold weather conditions. Riders with an outdoor arena can’t ride due to the frozen ground. How can you get the most out of this time of year? Here are some tips. Choose to work on some smaller, but still important behaviours that will make your life easier and improve the relationship with your horse. Does every ride start with a bit of irritation because your horse lifts his head every time you want to halter/bridle him? Does he always walk a few steps while mounting? How does that influence your relationship? Imagine how you would feel to have a horse that would put his head into his own halter or bridle, align perfectly next to your mounting block and stand still until you give the cue to walk on? If the weather isn’t allowing you to ride you can spend time with your horse , groom him and do a wonderful photo shoot. Maybe you can have eternalize some of your equestrian goals you worked on this year. You can take your horse on a walk to hand graze your horse. This would be a perfect time to start teaching him how to quit grazing on a cue, since winter grass is less enticing than the juicy green Spring grass that will be back in a few months. Start trick training and have a good time! Here is a good book that will get you started on a few easy tricks. What does your favourite Winter training looks like?